Being born again and spirit led doesn’t mean that you get exempted from the trials and whirlwinds of life. I can tell you that the moment l decided to truly walk out my salvation all hell broke loose. I was like wow, how is it that when l am trying to do right and l get more trials. It’s because the moment you start living for God you are a threat to the devil and he will fight you. 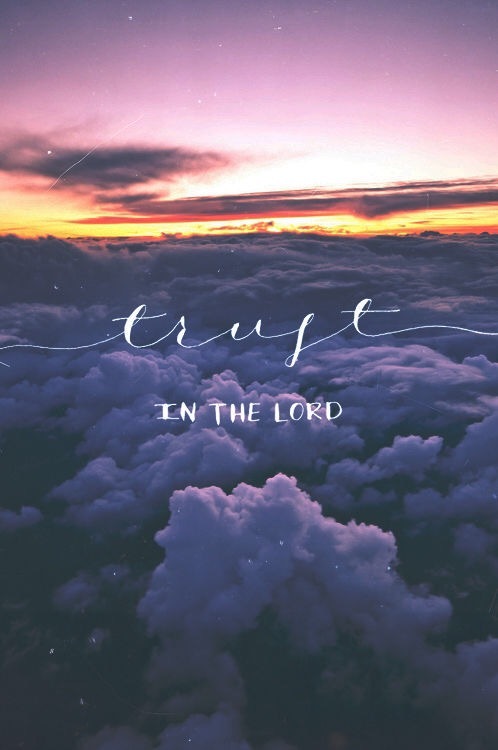 Today l want to talk about Trusting in the Lord. See, because you are a child of God you will face situations that will rob you of joy, discourage you, hard times that will shake you. The only way to survive these times is to put your trust in God. Trust is defined as having a firm belief in the ability, the reliability, the truth of someone or something. So when we say we trust God we are saying “Lord we believe in your reliability, in your truthfulness and abilities, we are confident in your word. We will not fear or worry. From age old in the bible we see men and women who walked fearlessly because they trusted God. David faced Goliath, he escaped swords from Saul, he slaughtered lions because of his unshaken Trust in God. I decide to lean not on my understanding, and totally Trust in him.. It’s not easy but keep relying on God. I hope this encourages you, l needed this today..
Jeremiah 17:7 Blessed is the man who trusts in the Lord, And whose hope is the Lord. Psalms 37:3 Trust in the Lord and do good dwell in the land and enjoy safe pasture..
We love because he first loved us..
Having been a very insecure person and struggled to find worth, l can tell you that l often found myself finding it hard to love people. It seemed words of people would get be all upset and unknowingly people would do things and have me all heart broken. The root was in my past as you would know if you read my blog on What determines your self worth. It took me a long time to understand that disagreement doesn’t mean disapproval. Just because people disagree with you doesn’t mean something is wrong with you. I constantly found myself associating people who had different opinions with me as haters. To me it meant they didn’t love me. I thank God, because he then taught me to love myself. He taught me about his love which is unconditional. It doesn’t matter what l do or don’t do he still loves me. In Romans 8:35-39 we read that nothing can separate us from the love of God! Nothing in this world and through God we are more than conquerors because he first loved us. However people do wrong us, even more the people we love, the people we are to work with even in our churches. When that happenes remember to pray for those that wrong you. 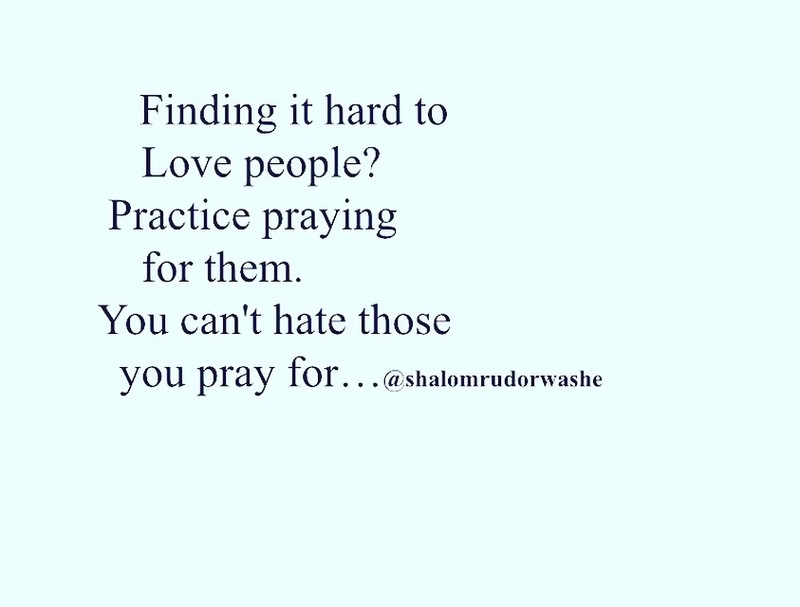 You will find that you really can’t hate those who you deliberately pray for. Be intentional about loving others it pleases God when we love, because God himself is Love. 1 John 4:8 says “whoever does not love has not known God for God is love”. Are you going through a lonely season? Are you going through a lonely season? Have you lost all that you thought you knew? Is what you are waiting for not coming?. Now could it be that you had placed that person, that position, that wealth, the idea of having whatever it is you desired as more important to you than God? Could it be that you had begun to consult them people more than God. In 1 Kings 18 we see Elijah asking the people of Israel ” Is there no God that you consult Baal” Friends Baal stands for anything that you classify as more important even unknowingly, and it takes God’s place in your life. It could be your friends, your phone, money the idea of getting married so much so that that is where you spend all your energies at. See our God is a jealous God (Exodus 34:14), he wants your all. There is a danger friends in putting anything else as more deserving of you than God. You endanger yourself and that person. God will literally separate you so he can turn your heart back to him. He has the power to take away from you everything so that your focus is on entirely on him. I can testify to such seasons and I believe God wants me to encourage someone out there who might be going through the same situation. Is God first in your life?Are your decisions based on God, man or your emotions. Is God your God in good and bad times, is he God in your daily life. Do you wake up to him or to your phone to flood your heart with timelines on Instagram or whatever else. Where does most of your time go? God loves us so much he wants to be part of our daily life. If you are like me and God has moved some people away from you and got you out of your comfort zone then use that season to spend time with God and truly follow him. Even friendships have seasons it could be that you are not going the same direction, it does not make them a bad person, its just the season God is wanting you in. Maybe you so badly need money, or anything you desire ask God to give you wisdom and focus on him while you wait on God. God loves you so much, will you just spend time with him.